This is a recipe I first came across stumbling the Healthy Green Kitchen food blog, which had in turn been shared from a post on FOOD52 by Amber of LovesFoodLovesToEat. Mine is a slightly different adaptation, so you might want to compare the two and see which path you wish to take. But thanks go to Amber for her creation! 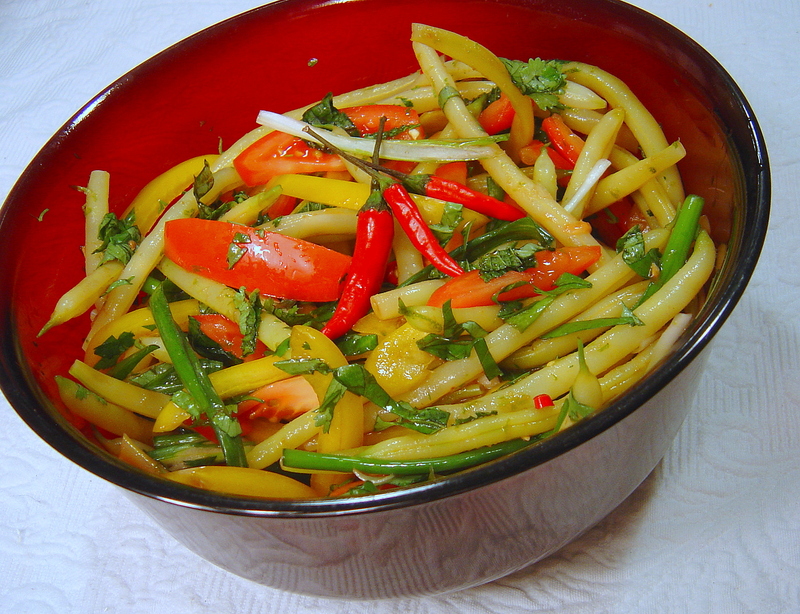 Toss together blanched beans, tomatoes, bell pepper, scallions, chilies and herbs. Whisk together dressing and pour over salad, tossing to mix. I have chosen to add this recipe, full of the delicious flavors of citrus and fresh herbs, to the January “Cooking with Herbs” challenge hosted at Lavender and Lovage by Karen. Visit her blog and see all the great recipes!